Rock Me! Summer of Love opens with bergamot, aquatic hyssop and geranium. A heart blooms with freesia, water lily and white peach, while a base encompasses musky rose, sandalwood and ambergris. The Anna Sui Rock Me Summer Of Love 75ml EDT Women's Perfume was added to the Women's Perfume category in June 2016. 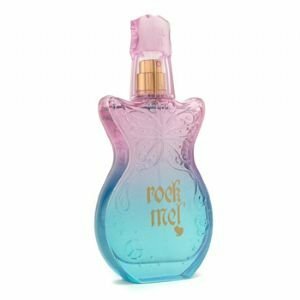 The lowest price GetPrice has found for the Anna Sui Rock Me Summer Of Love 75ml EDT Women's Perfume in Australia is $52.50 from Sense Online. Other merchants who stock it are Sense Online, Cosmetics Now, Fresh Fragrances and Cosmetics, Zeina Perfume World, Price Rite Mart, Galaxy Perfume.